[UPDATE] This bug has been FIXED since SONY's November 2017 firmware update (47.1.A.5.51). 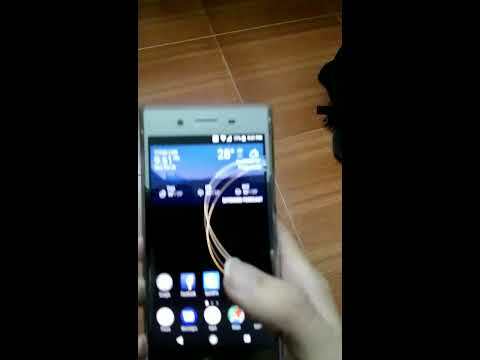 RGBC-IR and ToF sensors seem to get some bugs after 8.0 update (47.1.A.3.254) on XZ Premium. Can NOT fix it with Xperia Companion. According to users' replies, it seems that only the G8142 model with dual SIM got affected. The G8141 model with single SIM are fine. I have that issue too. Uploaded by Minh Trí Nguyễn on 2017-10-25. My firmware version is 47.1.A.3.254-R2B - Customized VN. Saw it when reflash by Software repair of Xperia Companion. My friends who own an XZ premium got the same problem as me. I think this happen because 8.0 software update not fully optimized. Beside lacking of ToF sensor (Laser focus) making 3D Creator app not focus properly. Leaving object blurry. Hope they will fix this soon in next patch. I can't confirm that this happens for all Oreo users. For me the sensors are working fine. Only thing I did after the update was clearing the cache. Hold volume up + power button until the phone turns off. Keep holding until the phone vibrates 3 times shortly. I did after the update. But I didn't check the sensors before that. to people who experience this issue, is your XZP single or dual SIM variant?